Spring break doesn’t always have to break the bank, especially with a large family. Many travel to exotic destinations every chance they get, big family or not. We decided to do mini vacations this spring break, including Abu Dhabi, Dubai and Ras Al Khaimah. Around here, if people do go to Ras Al Khaimah, it’s for a day trip to the water park, and that’s about it. 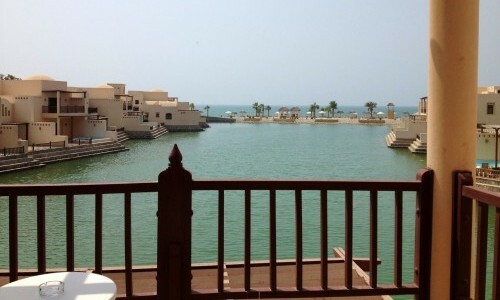 We decided to stay a few days and explore what more this Emirate had to offer for family fun. Checking into a hotel is often a problem for my family, as we exceed the maximum of 2 adults and 2 children. While some hotels and resorts turn their eye to the rule when we show up, we decided to go a different route. We chose a lovely 3-bedroom apartment in a beach community through Airbnb, allowing us cooking facilities, laundry, and plenty of space to stretch out. Most importantly, separate sleeping areas for the kids to nap while we stayed up chatted with friends. The community is called Al Hamra, and is comprised of residential apartments, townhomes and villas, all situated in Ras Al Khaimah. There are plenty of option to buy, rent or vacation in this community. We were pleasantly surprised to find enough activity within walking distance of our apartment. There were at least 3 large pools and 3 kiddie pools attached to the surrounding units, multiple large playgrounds, a yacht club with buffet theme nights and Friday brunches, a marina with fabulous restaurants, a golf course and an amazing unoccupied beach which stretched as far as the eye could see, with shells and beautiful sand. For those adult visitors who think it’s impossible to get a drink in the UAE, you’ll be pleased to know there is a liquor store in the marina as well. A slightly longer walk will take you to two polar opposite locations…1) to a new shopping mall where you can find some fast food, a food court, stores and a grocery store with most expat conveniences and 2) to an abandoned town, called Al Jazeerah, which begged for exploration. If you care to explore Ras Al Khaimah off the community premises, you have a few options. There are two water parks, Dreamland Aqua Park and Ice Land, both offering fun for all ages at reasonable prices. About 20 minutes away you’ll find “downtown” Ras Al Khaimah where your Western fast food restaurants can be found, trade shops of many kinds, bowling and the mall. While not exactly the Dubai Mall, it still had plenty of shopping options, food court selection, a Carrefour and a movie theater. A new mall is currently being built with a LuLu. Definitely enough entertainment for a mini vacation with the family to keep you busy. Venture out, choose your accommodation, and relax in Ras Al Khaimah. 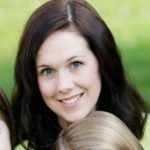 Heather B. is the wife to a wonderfully supportive husband, Jared, whom she married in 2003, and a mom to 3 beautiful and creative children (6, 8, and 10 years old). The family moved overseas in 2010, and hasn't thought of returning home any time soon. Since moving abroad, they have traveled to the UAE, Sri Lanka, Thailand, Germany, France, Turkey, Nepal, Hong Kong, Singapore and soon, Indonesia. Heather documents her family's travels from the affordable to luxury, all around the world.